Funeral: 1:00 P.M. – Saturday, Dec. 01, 2018 at the Church of the Lord Jesus Christ - Yeaddiss, Kentucky with Rev. Don Kilburn & Rev. Billy Joe Lewis officiating. 11:00 A.M. until the funeral hour Saturday at the church. Mrs. Alene Lewis Coots, of Yeaddiss, Kentucky was born September 19, 1955 in Yeaddiss, Kentucky to the union of the late Lue and Masie Lewis. She departed this walk of life on Wednesday, November 28, 2018 at the age of 63. Alene had been a life-long resident of Leslie County and by occupation she was a former produce manager and homemaker. 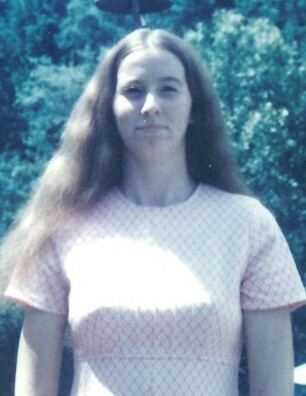 Alene was a devoted member of the Church of the Lord Jesus Christ at Yeaddiss, Kentucky. She was united in marriage to Chuck Coots on April 17, 1974 in Virginia. Alene enjoyed cooking, cleaning, mowing grass and keeping her vehicles shined. Above all, she enjoyed serving the Lord and going to church where she liked to sing. In addition to her parents, Alene was preceded in death by a brother, Hobert Lewis; special niece, Tabitha Davidson; special friends and sisters-in-law, Judy Adams and Mackie Childers. Alene leaves behind her loving and devoted husband, Chuck Coots of Yeaddiss, KY; one beloved son, Kelvin Coots of Woodstock, AL; one sister, Mildred Davidson of Yeaddiss, KY; brothers-in-law, G.T. Coots, Mark Coots, and Junior Coots; sisters-in-law, Rosalee Kilburn, Joyce Boggs, and Lorene Boggs; one cherished grandson, Corbin Jase Coots; special friends, Maxine Mitchell, Ruth Kilburn Elenes, Swannie Rice, Shirley France, Coreen Trent, Kristy Lewis, Pat Lewis, Eyvonne Coots, and Daniel Lewis; a host of special nieces, nephews, other relatives and friends also survive. A very special thanks to Rick & Tina Coots, Rev. Don Kilburn, and Rev. Billy Joe Lewis.